This morning Toshiba has announced that they will be spinning off their chip production business as part of a broader plan to sell off a minority stake in the business. With the company’s financial position in poor shape due to other business segment losses and accounting scandals, selling off a stake in the company’s profitable chip production business gives Toshiba the means to raise some much-needed capital. The move comes as the company confirmed last week that they were investigating just such a spin-off. While official details on the spin off are still scarce, the company has indicated that they want to complete the transaction by the end of this quarter, March 31st. In that time the company will need to decide just how to structure the spin off, and more importantly find an investor willing to buy in to the new business. Toshiba has not announced just how much of the business they intend to sell, but unnamed sources have told Reuters that it will be a roughly 20% stake, leaving Toshiba still in control of what is their most profitable business. 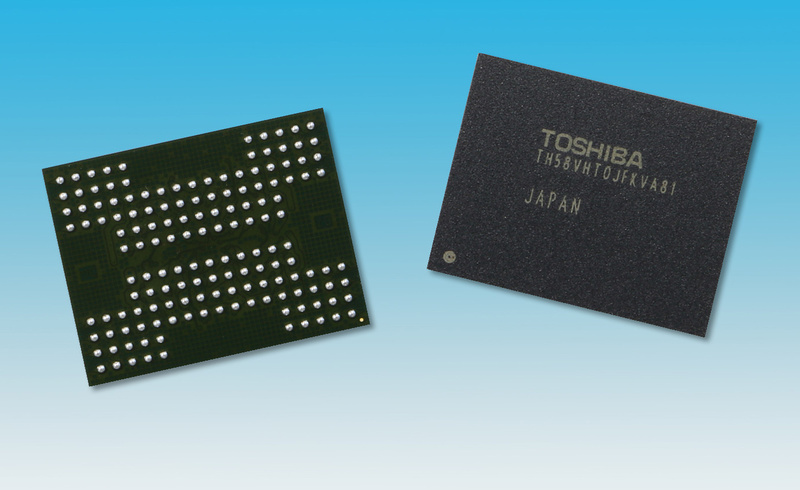 For Toshiba, NAND flash production – the heart of their chip business – is strategically important because it enables the company to produce all types of storage devices in-house. Today, Toshiba makes HDDs, SSDs as well as various types of removable storage at its own fabs using its own components. The only other company that can manufacture all types of storage products using its own media is Western Digital, while companies like Samsung and Seagate lack either HDDs or NAND flash. 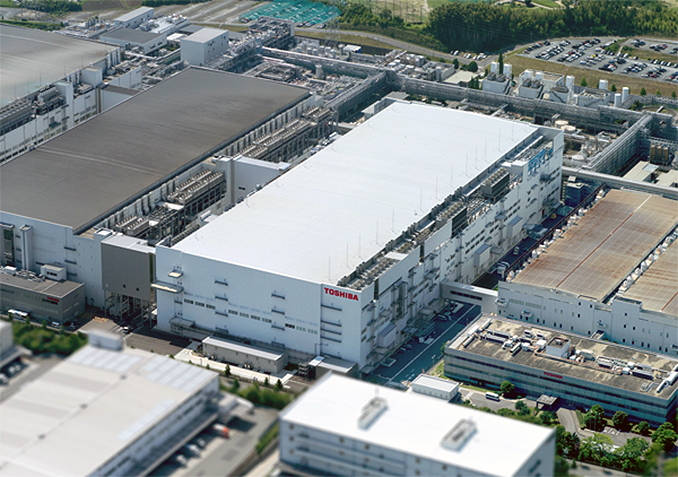 In fact Toshiba and Western Digital already operate the world’s largest NAND flash production complex in Yokkaichi, Mie prefecture, Japan. Formally, the manufacturing facilities belong to joint ventures between the two companies and WD buys wafers from Toshiba. It is not completely clear how the spinoff would work in this case and which parts of Toshiba’s business will be up for sale, especially as Toshiba still needs to find a buyer. One of the important things to note is that production joint ventures owned by Toshiba and Western Digital are unlikely to make a lot of money directly because they sell wafers at near-cost to their owners who then earn profits by selling SSDs, memory cards, bulk NAND flash and other devices to their customers. Therefore, if Toshiba is to sell a stake in its semiconductor production business, it needs to sell it to a company that can then use the chips to build products and make some money. Obviously, Western Digital would be a perfect investor – and is considered to be the frontrunner – because it already has everything needed to produce actual storage devices, but ultimately there are other potential investors and Toshiba will need to take the best deal they can get. Meanwhile, Toshiba’s plan to spin off its NAND flash business into a separate company may have a significant impact on the market of storage devices in general. Nowadays, Toshiba and Western Digital jointly invest in the development of NAND flash as well as manufacturing process technologies. Changes of the ownership may alter Toshiba’s investments not only in terms of money, but also in terms of R&D spending by the company. Though any such change will heavily depend on who eventually buys the business stake from Toshiba.